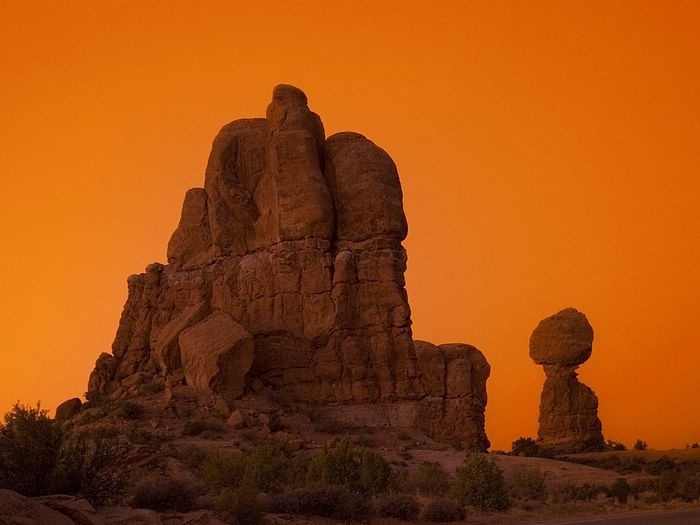 Arches National Park is unique place on Earth which is famous by its numerous natural sandstone arches. 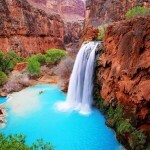 It is located in eastern Utah and it covers the surface of 310 square kilometers. 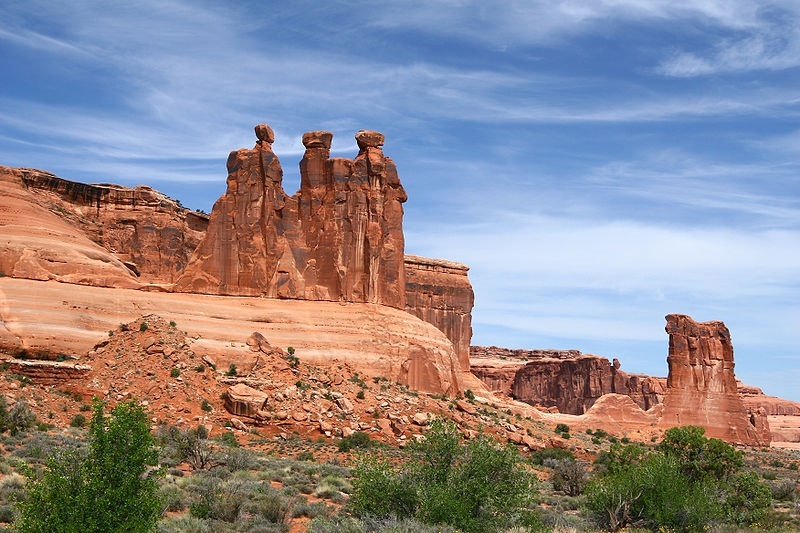 Arches National Park is less than 8 kilometers away from the small city of Moab which hosts thousands of tourists who are coming to visit this beautiful place, every year. 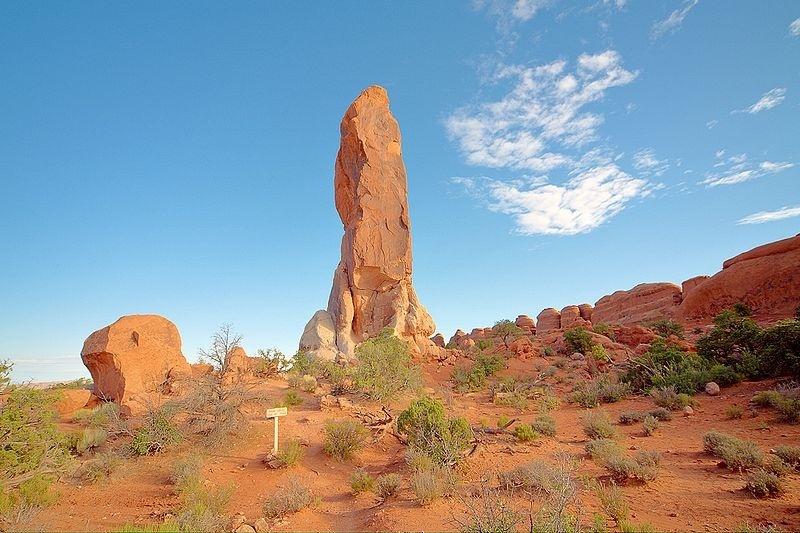 This place is known by its unique and unusual geological formations, amongst them are remarkable sandstone arches, sandstone fins, large balanced rocks. 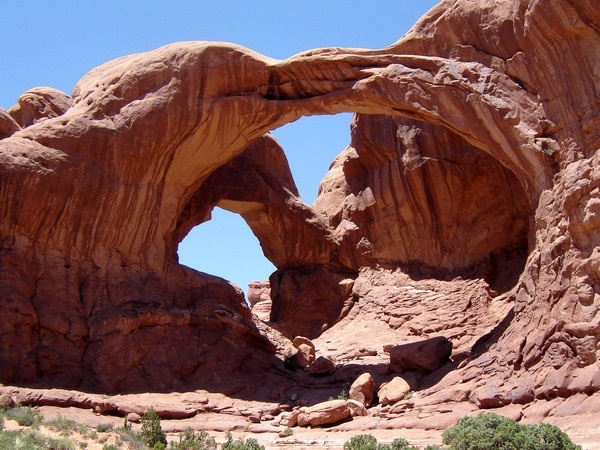 There is more than 2000 arches which can be found in the park. 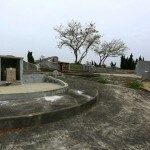 This place has became a National Park in 1971 and since then, it is recorded that 43 of the arches have collapsed because of the natural process of erosion, mostly caused by rain. 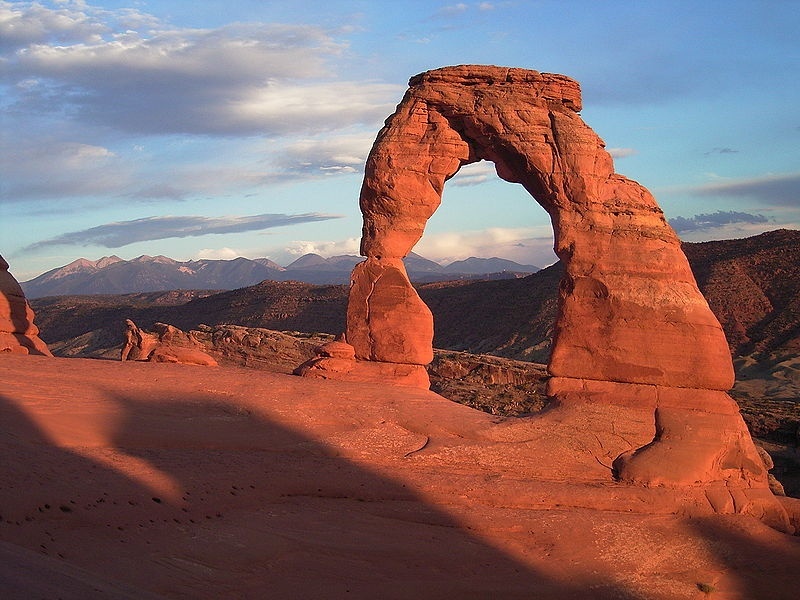 The most famous of those bizarre geological formations is Delicate Arch. 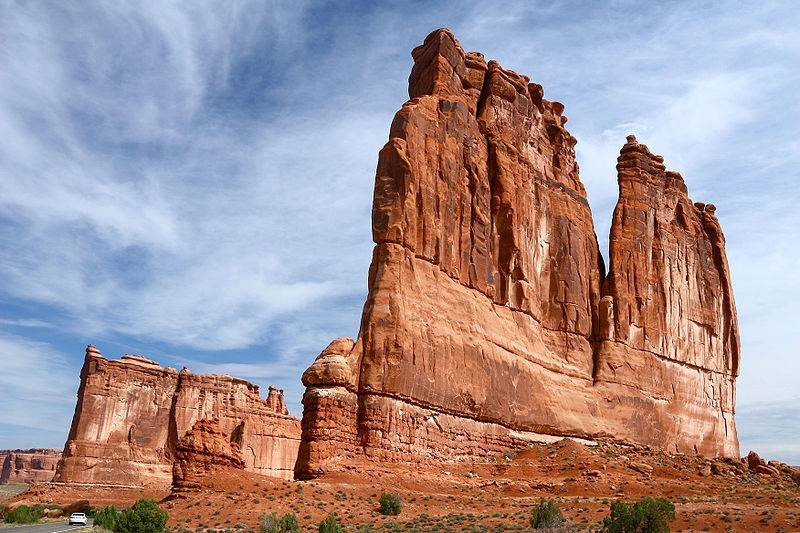 It is a 16-meters tall natural sandstone arch which is so poplar that it has got its own postage stamp in Utah and the Olympic torch relay for the Winter Olympic Games 2002 has passed under this arch. 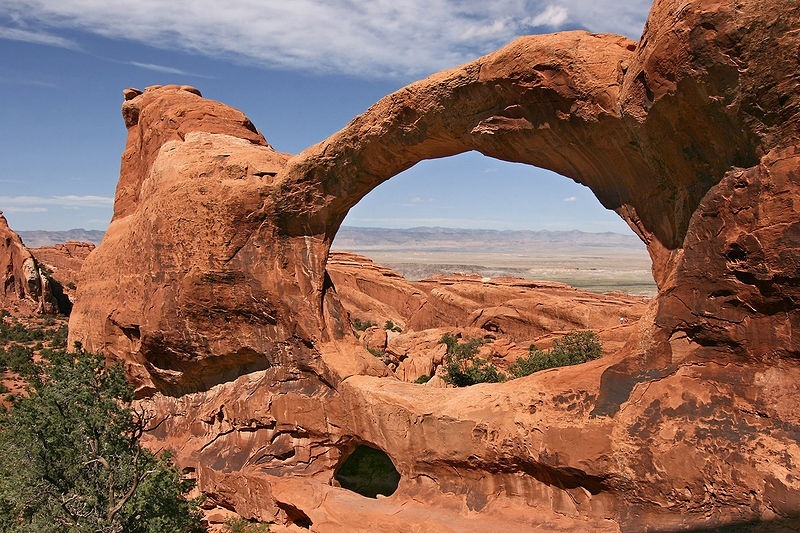 The arch looks like some kind of natural bridge made from stones and it is also often called “the Chaps”. 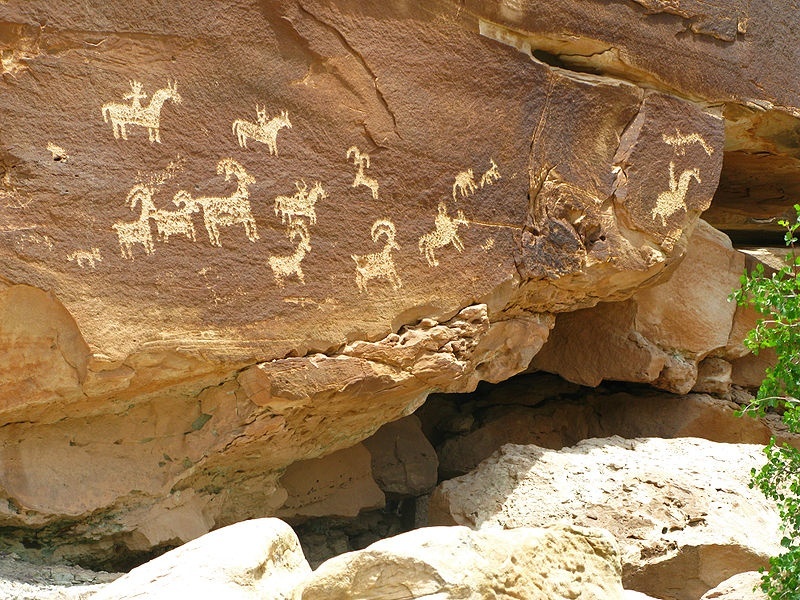 Beside its natural and geological significance, this place is also very important for the archaeology because it contains a number of historical monuments such as petroglyphs and other ancient drawings on stones which are believed to be made by Fremon and Ancient Pueblo people thousands of years ago. 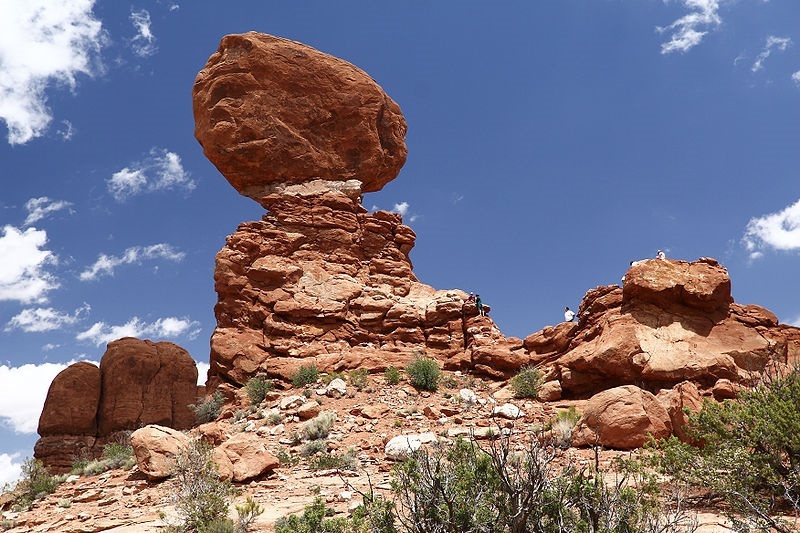 The nearest city is Moab which has about five thousands of residents and most of tourists who are visiting the Arches National Park are residing in Moab which is at the distance of only few minutes of ride from the park. 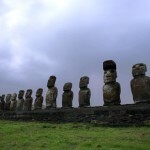 The unique natural environment has made Moad pretty popular amongst movie makers, and there were filmed dozens of movies and episodes of TV shows.